MET Servers covers most used servers and workstation purchases with a standard 90 day parts replacement warranty. This 90 day warranty applies to a product unless a different warranty is specifically listed on the product page. We offer extended multi-year maintenance contracts under our RackGuard solution brand. RackGuard service is handled differently and instructions can be found by clicking here. Our used servers and workstations are configured to order. This means that once you place a custom order, we go through an in-depth process of installing each component, stress-testing the server, and preparing the system for a production environment. Custom servers and workstations take between 48-72 hours to complete. We do offer ready-to-go servers and rush builds. You can reach us by phone or email to discuss these situations. Servers and workstations are packed in brand new, double layer boxes. We use molded foam packaging to ensure that your server won't move during transit. For large orders that require palletization, we are one of the most reliable freight shippers for used servers. In over 25 years of business, we have never had to submit a claim for damage during freight. USA and Canada: for standard packages we usually ship by Fedex and occassionally UPS. We use mid and high-tier freight carriers for larger orders (we exclude cheap options such as RoadRunner). Buyers in Canada are responsible for all customs, duties, taxes, and demurrage. Overseas: We prefer to use FedEx or sea-freight for orders travelling internationally. We also offer expedited air-freight. We can ship to any country in the world that does not have export restrictions from the United States. All customs, duties, taxes, demurrage are the responsibility of you as the buyer. Your Account: If you would like to bill your own shipping account on a different method, you are welcome to do so! We have daily pickups by FedEx, UPS, DHL, and USPS. We have four loading docks available for LTL, FTL, and other cargo. We do not charge any processing fees for standard packaging or palletization, as long as its how we would have packed your product anyways. Ground: order is processed within 2-3 business days. Transit time is 2-5 business days. Total delivery time is 4-8 business days. 2-Day: order is processed within 2-3 business days. Transit time is 2 business days. Total delivery time is 4-5 business days. UPS Red/Fedex Overnight: order is processed within 2-3 business days. Transit time is 1 business day. Total delivery time is 2-3 business days. --- UPS Red/Fedex Standard Overnight: Fedex guarantees delivery by end of day local time. The delivery usually ends up arriving by 1pm in most major cities. --- UPS Red AM/Fedex Priority Overnight: Fedex guarantees delivery by 10:30am to most major cities. Note that the processing times are conservative estimates for standard quantity orders. We may take less time to build than quoted here. Bulk orders are quoted and negotiated differently, and thus timeframe may be different on larger orders. 1. Open a ticket on our website or email our support team with your order number and diagnosis. 2. We will provide troubleshooting steps. 3. If issues exist after troubleshooting, we will provide a return label for you to send the item back to us. 4. Once the defective part arrives back, we will ship out the replacement part via FedEx Ground at our expense. Note: Our servers and parts are tested for full functions, R2/ Ready for Reuse. The warranty only covers hardware. It does not cover software compatibility issues. Please do your research about software compatibility prior to purchase. Our sales team is always available if you need assistance. Less than 3% of servers face an RMA. Out of that, less than 1% face an RMA after 90 days. This means that out of 10000 servers we build, a RackGuard extended warranty is useful for only 3 servers. If you compare our prices to other stores offering a default 1 year warranty, you will find that our price is as much as 25% cheaper. In fact, if you compare their 1-year (parts only) warranty versus our RackGuard 1 Year Warranty (screen-sharing and onsite service included), you will find that our prices cannot be beat. We accept returns on used servers and workstations for 30 days unless negotiated differently. Returns are subject to a 15% restocking fee. We try to limit our restocking fees, but please keep in mind that configure-to-order servers are built specifically for your order. A lot of labor and testing goes into building each server. Software products cannot be refunded unless explicitly stated otherwise on the product page. This includes VMware. 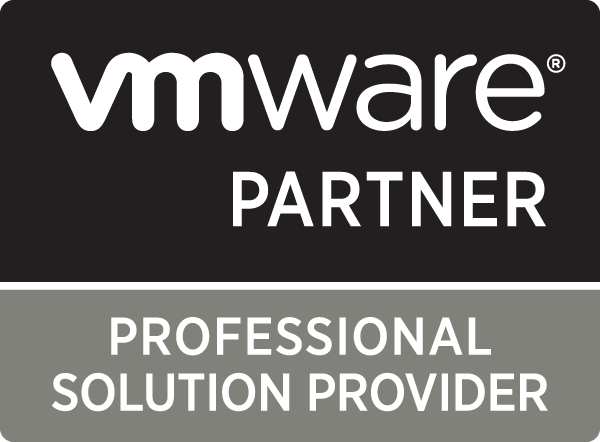 If you are uncertain about needing VMware, we highly recommend getting a VMware product trial before making this purchase.